Hello again dear readers! Today, I am here with what seems to be my very first EVER! Don't worry, the main focus of this blog will still be fashion and style, but ever since my #makeuphasnogender post, I've been extra into discovering new things, and when I got a package from &Other Stories in the mail a couple of weeks ago, containting this gorgeous browny red lipstick from their newest collection, I couldn't help but try it on and shoot some pics with it. Especially since I've been on the hunt for something to fight my chappy lips, and I do think that I have found my wonder product for soft lips at my favourite beauty shop ever: Lush. 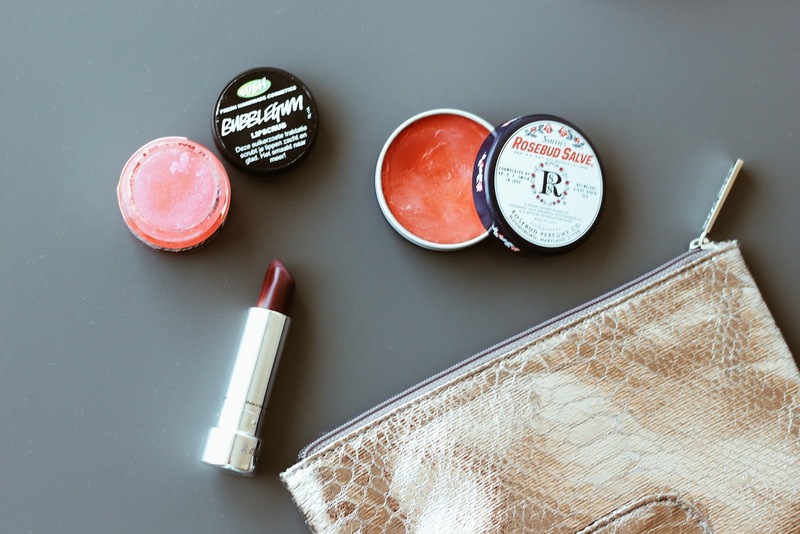 Here we go, a little step-to-step to get the perfect Fall lips! Here comes my holy grail for smooth and lushious lips you guys! 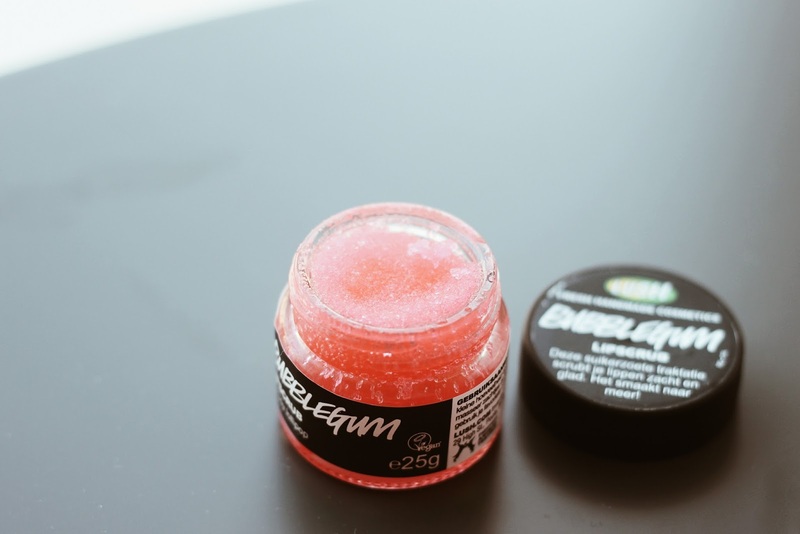 The Lush lip scrub in Bubblegum. Seriously, this thing does wonders for my lips, and it's so easy to use! You just take the smallest amount of product, rub it on your lips and then... lick it off! I know, it sounds weird, but this actually tastes amazing, and it leaves your lips smooth and clean like a baby's bottom! After removing all the dead and gross material from your lips, it's time to nourish those babies! 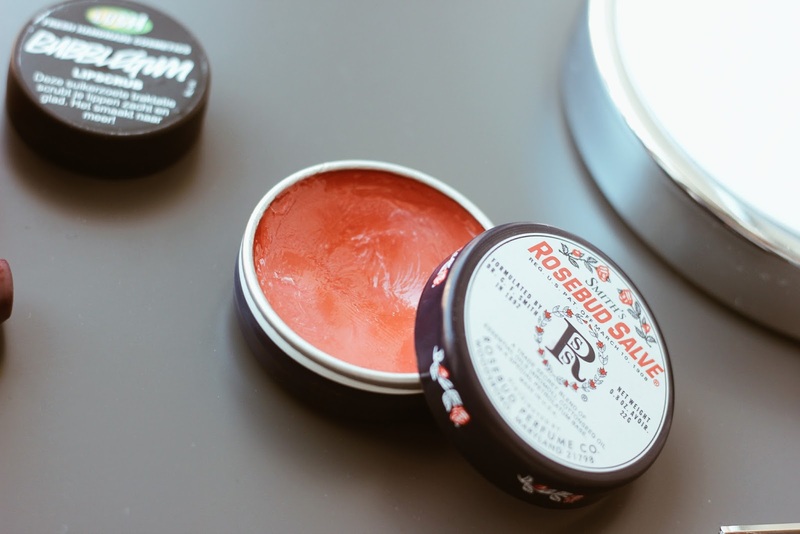 I am currently using this rosebud salve, because it just does it job perfectly fine and it smells really good, like a soft rosy scent! Also, it is quite colourless on the lips, despite it being pinkish in the container. 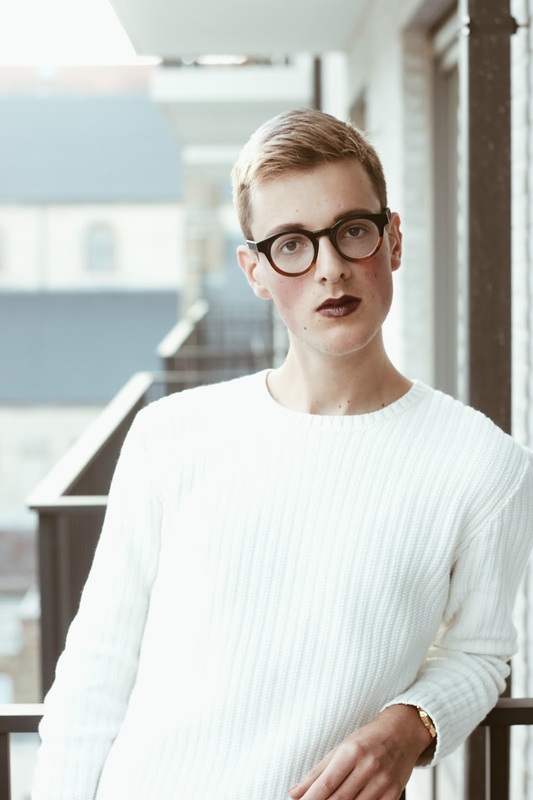 Quite a big plus if you are going to layer on a bright coloured lipstick over it! 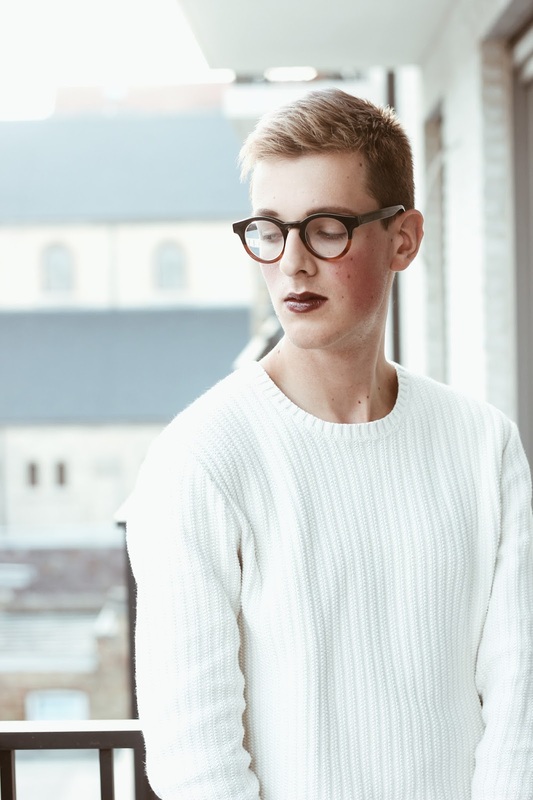 Last, but certainly not least, it's time for the pièce de résistance: the lipstick! For this look, I am using the colour Mistral Currant from the latest beauty collection of &Other Stories. To me, it really is the perfect autumnal colour, and a dark burgundy-browny red was still missing in my collection. Yay! I just applied this lippy the way I always do: apply one coat of lipstick, dab my lips with some tissue paper, then another layer of lipstick, correct the edges and the corners of my mouth, et voilà! 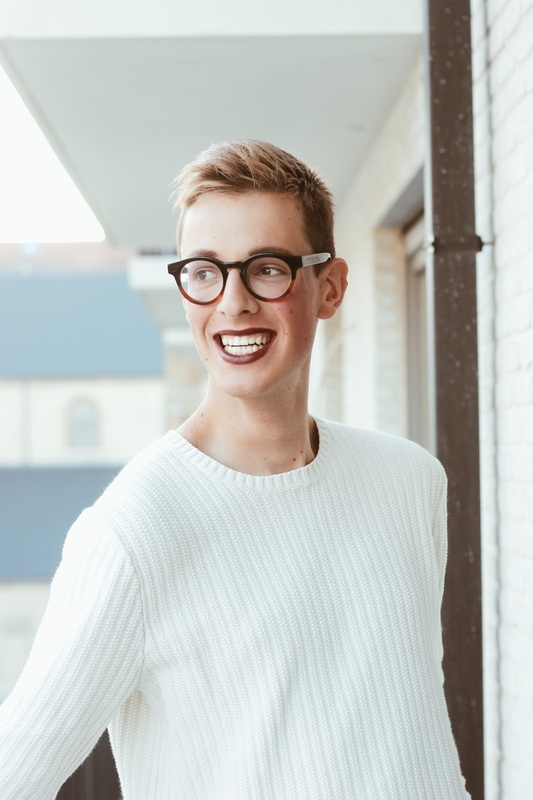 This lushious lip look is born! Here's the final look, shot by one of my favourite persons on planet earth, Lisa, on the balcony of my grandparent's seaside apartment. 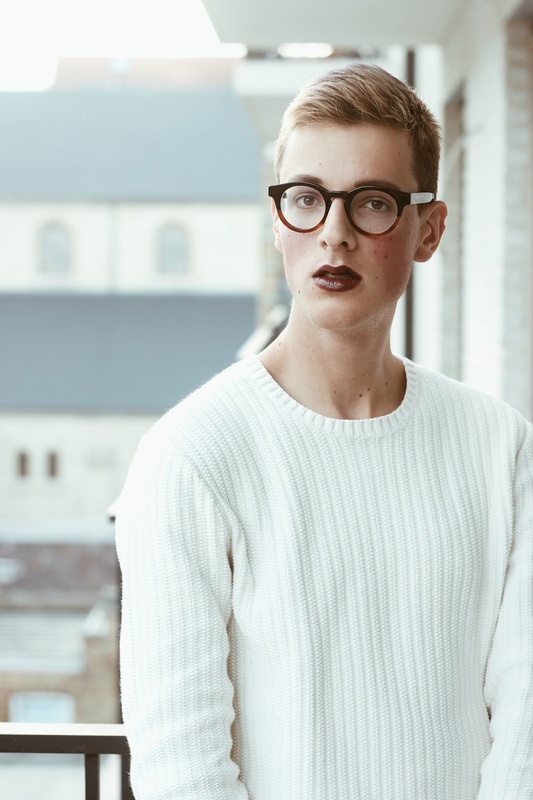 I really liked the quite monochrome beige/white colours of the background and my sweater, combined with the pop of red on the lips and the brown colour of my glasses. What do you guys think? 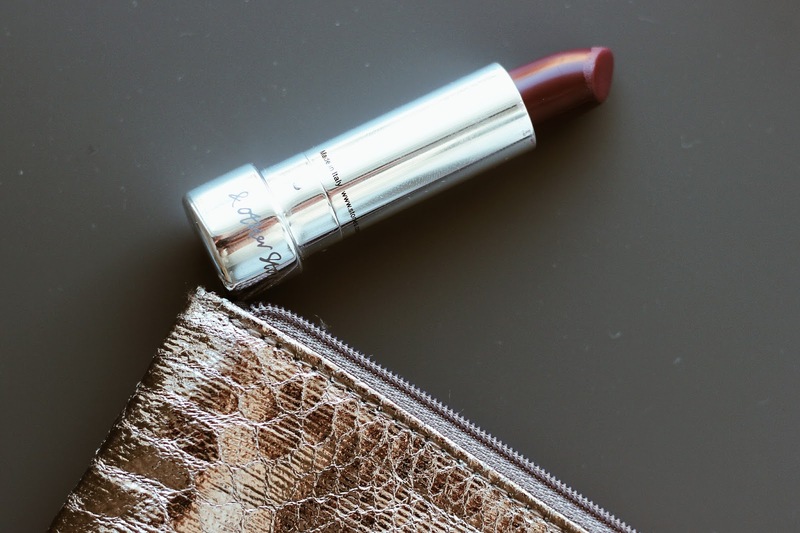 Would you wear this shade of lipstick? 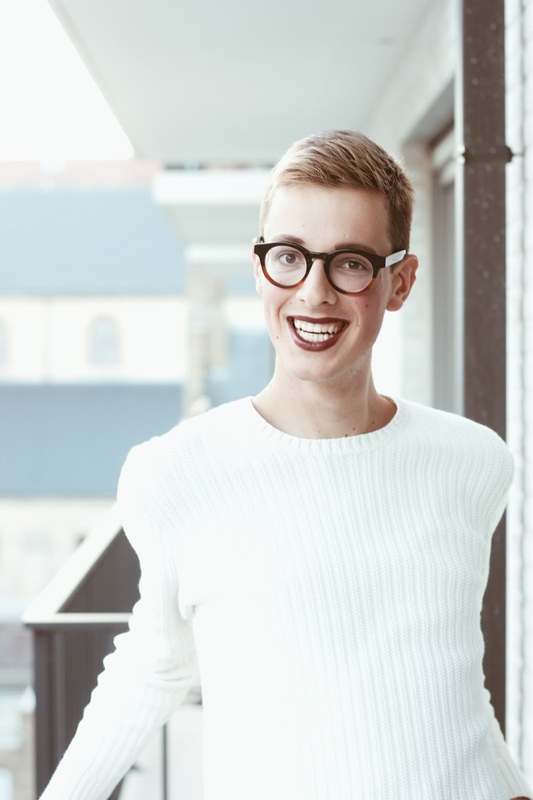 Die kleur staat je zooo goed!